Florida manatees—those big gangly gray elephants of the sea—do not have vocal cords. Yet they are able to make their high-pitched squeaks and squawks to communicate, a Xavier biology professor has found, using a modified structure of tissue folds that distort the air moving through the upper respiratory area and frontal cavities in the head. Professor Charles Grossman and three Xavier biology and physics researchers published the results of the study into how manatees make vocal sounds in the current issue of the Online Journal of Biological Sciences. The initial research project began in 2001 when Grossman, a physiologist and immunologist, became interested in searching for ways to protect manatees from injury by boat propellers. The project was featured in Xavier magazine in 2003 and also in 2009. Florida manatees are an endangered species of mammals that forage for grass and weeds in the shallow waters of the Gulf of Mexico and into spring-fed rivers along the coast during the winter months. Because they are hard to see when they float near the surface, manatees are easily struck by speeding boats and Jet Skis, and they and their calves often die from their injuries. To help find a way to protect these gentle giants from approaching boats, Grossman began studying how they respond to sounds in the water. He put together a research team that began working with captive manatees, including the two manatees in the Cincinnati Zoo’s Manatee Springs exhibit. But they found that the manatees were attracted to the sounds they introduced into the tank rather than repelled by them. Grossman and the team were hoping to identify a sound that manatees would try to avoid and replicate that for boats to reduce the number of manatee-boat collisions. When that failed, the team began researching how the animals make their sounds. Past anatomical studies had concluded that manatees have no vocal cords, but no one understood exactly how they vocalized. In 2003, the team began making silicone models of their animals’ respiratory systems. They studied the sounds made when air is forced through the models and compared them to actual sound recordings made of living manatees. They also studied the larynxes of 10 manatees that had died in Florida. The Florida Fish and Wildlife Commission provided the larynxes of the manatees to Grossman at Xavier. The research paper published in the Online Journal concludes that even though manatees don’t have vocal cords, they do have a modified structure that allows them to make their squeaky sounds. The paper documents the probable cause of death of each manatee they studied from 2009 to 2011. Five were from “chronic watercraft” injury, one was from ingesting fish line and the others died of cold-weather stress or unknown causes. Grossman said the manatee population in Florida is stable this year at more than 3,500, though hundreds are killed each year by boats and other human-related causes. Read more about the research project at the Facebook page of the Midwest Florida Manatee Research Project or on the project’s Xavier web page. Drawn to Xavier is an historically accurate* account of life at Xavier. It is quite possibly the world’s only cartoon blog that is both dedicated to a venerable Jesuit university and to the proposition that humor is not quite as close to godliness as cleanliness, but it is a lot funnier. For we mere mortals, a great nickname is an enduring handle that carries on long after our mortal coil has sprung. But trying to hang a nickname on an institution can be problematic. From Aggies to Banana Slugs, Artichokes to Zips, every nickname also carries with it the obligation that a costumed mascot personifies that nickname. Ever ready at her call. So back them with your cheers. Give a rah! rah! rah! Ironically, Xavier’s first living mascot was not a Musketeer, but a mutt. A spirited terrier named Hooks prowled the football sidelines for a single season in 1940. Legend has it his early retirement was precipitated by an onset of canine gout exacerbated by the abundance of hotdogs offered to him by the adoring home side. So what is it about a Musketeer that made this mascot more palatable as concept rather than a living personality? A historical review of D’Artagnan sightings at sporting events down through the years proves to be more mysterious, and just as dyspeptic, as the ingredients of a hot dog. For decades, Xavier was a Musketeer in spirit, but not in the flesh. Perhaps D’Artagnan’s cavalier character was a bit too flamboyant for der Cincinnati. D’Artagnan’s backstory can be traced to Xavier’s earliest beginnings. Finn found his inspiration in the real person of Baron Louis Paul Drualt, a relative of Xavier’s first president John Elet. Alexandre Dumas fashioned his D’Artagnan character by repurposing the real life (and rather roguish) escapades of Charles de Batz-Castelmore. On paper D’Artagnan was the cat’s meow. The real problems began when D’Artagnan became real. Few would have guessed that dressing up like a spirited swashbuckler and prowling the sidelines of a football game would be fraught with dangers far beyond a self-inflicted sword wound. But there’s no keeping a good Musketeer down. In a Frankensteinian attempt to create new life, D’Artagnan rose again in the early 1980’s, eventually morphing into a mammoth-headed variant. This version of the Musketeer exuded undeniable power and élan vital, but unfortunately frightened children and even the occasional doe-eyed cheerleader. Though probably apocryphal, Xaverian legend has it that the top-heavy proportions made this mighty musketeer somewhat unsteady, and one night he toppled to the floor, his Mount Rushmore-like noggin barely missing a cheerleader. Which brings us to peeling back the blue fur of myth and revealing the joyous mysteries of the Blob. Tantalizing clues behind what brought this mysterious mascot to life remains scant. One narrative that gains and loses traction on a regular basis is that a super-secret subcommittee named The Super Secret Subcommittee for Reasserting Musketeer Mascot Mojo quietly reached out to various departments for suggestions on an alternative mascot. So unsettling were theses suggestions, they’ve never been revealed to the public, and were probably destroyed. We shall never know. But that doesn’t stop us from speculating. Through extensive research and conjecture, Drawn To Xavier now presents what might actually have been some of those suggestions, plus the committee’s reaction. Readers are invited to draw their own conclusions. Here are the factoids: On a warm September morning in 1985, the Blob was not born, but arrived, in a handcrafted wooden crate featuring distinctive cabriole legs and festooned with international shipping labels indicating a Viennese origin. Two immense eyes and the distinctive aroma of sarsaparilla emanated from the dark recesses within. Enclosed care instructions (which had to be translated from a cryptic Austro-Bavarian dialect) directed that an included special “gel” be mixed with noncarbonated root beer and administered every four hours to minimize the stress of shipping and recover vitality. Standing just over three feet tall, weighing approximately 34 pounds and still covered in juvenile down, the shivering blue creature was rushed to an undisclosed location (some speculate a stock room at Dana Gardens, based on bathroom wall carvings at that location) and nursed back to health. The first actual meeting of The Blob and D’Artagnan is also a grab bag of hazy recollections. What few details available point to an early November 1985 exhibition game at The Cincinnati Gardens between Xavier University and The Grippos All-Stars—a ragtag collection of barnstormers with a taste for salty snacks. An usher recalls “seeing this little blue ball of fur cowering behind the first row of seats” mesmerized by the terrifying antics of the giant D’Artagnan. The crazed Musketeer’s antics of swinging from the center court scoreboard while swallowing his own sword sent all the children in the first seven rows screaming in terror. Except for the Blob, who scampered out onto the court, making a beeline for the teetering musketeer. The result? Love at first Blob. The World Choir Games were held in Cincinnati this summer, bringing 15,000 people from 64 countries to the region. 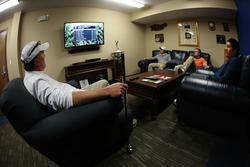 Nearly 1,000 of the participants stayed in Xavier’s residence halls during the 11-day event. Among those competing in the Games: Xavier’s Edgecliff Vocal Ensemble, which earned a silver medal for its perfomance in the mixed chamber choirs competition, and the Kowloon Boys Choir of Hong Kong, which sang during a Friendship Concert in Bellarmine Chapel and then got into the Xavier spirit while posing for a photo. A story in the Summer 2013 issue of Xavier magazine mentioned how the National Alumni Association receives $25 for each Xavier license plate purchased from the Ohio Department of Motor Vehicles, which it uses to create student scholarships. Readers of the magazine were asked to submit photos of their Xavier license plates. Here are some that were submitted, including some personalized plates from states other than Ohio that do not contribute to the scholarships but are still fun. Have one to add? Send your submission to webmaster@xavier.edu. Wednesday, March 20, was a big day. Everything changed and nothing will ever be the same. For the University, and for me. The big news is Xavier announced its joining the Big East Conference. Great. Let’s go X. The even bigger news, though, was that for a day I was D’Artagnan. I am student writer for Xavier magazine, and I usually don’t leave the little office hole they shove all the students in. I joked with my boss that she should let me cover the big announcement later that day, if only to grab whatever free stuff they would be giving out. I thought nothing would come of it. Boy, was I in for a surprise. I went back to my desk and started to work when Doug walked in. Doug is the Executive Director of the Office of Communications, so he is my boss’s boss’s boss. “Can you do something for us?” he asked. When your boss’s boss’s boss asks you that question, you don’t hesitate with your answer, and I didn’t. Before I knew it I was putting on the D’Artagnan costume. The costume may look simple from afar, but it is, in reality, a puzzle of nine different pieces. I even had to enlist the help of two cheerleaders to figure out how to put the jacket/cape on. In my defense there had to be 15 or more buttons on that thing and there isn’t exactly a “This side up” sign written on it. But eventually, I got it on. The last thing I needed to do was put on the head, which took immense concentration on my behalf. I had to get in character, so I stared D’Artagnan in the face and contemplated questions all mascots ask themselves: What’s my motivation? What’s the proper high-five form? How do I upstage the Blue Blob? What is the Blue Blob? Feeling at one with the character, I put on the head. I then walked up to the Cintas Center and was overwhelmed with the size of the turnout. As a cast member of several theater productions here on campus, as well as a member of the fencing club, I felt somewhat qualified to represent a 17th century swashbuckling musketeer. Still, being the official University mascot was a huge responsibility. So I took a deep breath and headed in. Inside the building, I gave out countless high fives and hugs. My pride was somewhat bruised when I realized that more people wanted a photo with D’Artagnan than they do with the real me. As time passed, I got more and more into the role. A few of my friends were in the crowd, and when I found them, I started dancing for them, giving them high-fives and making a genuine fool of myself—an easy task at any time, I will admit, but even easier when hidden behind an oversized foam head with someone else’s face on it. Later that day, I ran into them and asked if they had seen D’Artagnan. “Did you think he was a good dancer?” I asked. They were confused until I revealed D’Artagnan’s real identity. When I showed them a photo, we shared a good laugh. One of my friends asked how it was in the costume, which all I could say was “Hot.” I probably lost about ten pounds in the suit, and it was impossible to see out of the mask. I have to applaud mascots everywhere who sacrifice their vision to dance around for the entertainment of others. But there was one thing that made blinding darkness and the heat worth it. A little girl and her mother came up to me. The little girl could not have been more than six years old and barely made it up to my waist. She wanted a picture with D’Artagnan. After her mom took the photo, the little girl turned and gave me a hug. It was the best hug ever. I don’t golf. My life is frustrating enough. But I know a lot of people who do. And, as a result, I know a lot of people who are soon going to be drooling over the latest addition to Xavier’s sports facilities. On April 13, the men’s and women’s golf programs are holding one of those ceremonious ribbon cutting events to officially open their new home away from home at the Maketewah Country Club, just a few miles up the road from campus. 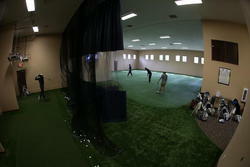 The new facility is a golfer’s dream. It’s even impressive to someone who doesn’t golf. • It has several all-weather driving bays. If the weather’s nice, open a garage door and the club’s range sits in front of you. If the weather stinks, turn on the heater, turn around and you can drive into a net. 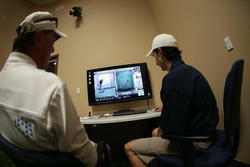 • One bay has six cameras that are hooked to a computer for immediate swing analysis. • It has an indoor pitching/putting green. 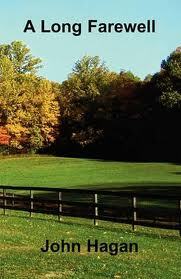 • It has locker rooms with dark-wood lockers that rival the most luxurious country clubs in the country. • It has a lounge area with a fireplace, TV and leather couches. 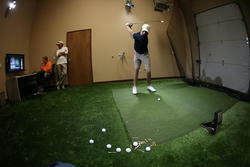 • And, it has a customized Cobra club-fitting area and pro shop with all the Puma gear a golfer might want. The fact that the pro shop sells Cobra-Puma equipment and clothing is, of course, no accident. Bob Philion, a 1993 Xavier graduate and one-time member of the men’s golf team, is now president of Cobra-Puma Golf and the driving force behind the completion of the facility. I would also suspect Philion will have Xavier’s golfers well armed with customized Cobra clubs and well dressed in Puma clothes from this point on, as well. Imagine that as a selling-point for recruits. Xavier’s golf program has steadily grown through the years, now reaching a level where Golf Digest ranks it 19th best in the country and No. 1 in the Midwest. Success usually breeds success, but once a program reaches a certain level it’s tough to find something that has such a profound impact that it pushes everything up a notch or two. The indoor practice facility should do just that. It gives Xavier everything the warm-weather college golf programs have—with the possible exception of azalea-lined fairways. Sherry K. Brubaker, who earned her Master of Education at Xavier, is now the human resource director for the Children’s Home of Cincinnati, but she’s not done teaching. Her children’s book, A Cup of Glitter, is a 2011 Award Winning International Book Awards Finalist, which honors knowledge, creativity, wisdom and global cooperation through the written word. A Cup of Glitter is the story of Dart and Glitter, who are stuck in a strange and unpredictable world and are trying to get back home with help from some new friends. There is a fairy song, including music and lyrics, and a Where’s Waldo-style seek-and-find. A Cup of Glitter is geared for children ages 2-8. The book is available at Amazon, Barnes& Noble and Createspace. After earning his MBA at Xavier, Philip A. Berry took some of the knowledge from his leadership classes and combined it with a little psychology, a little philosophy and a little practicality to create Being Better Than You Believe: 8 Steps to Ultimate Success. The book identifies specific ways for individuals and organizations to raise performance levels and make them more capable and effective. Berry promotes a change of self-perception because changes in behavior and performance can only come from a change of the heart and mind. Every chapter ends with “thought stimulators” that guide the reader and prompt action. 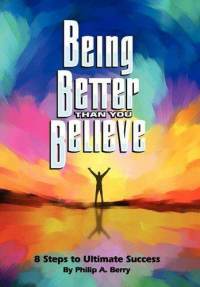 Being Better Than You Believe is a philosophical book that has practical applications. Whether you have a company that is trying to increase productivity or effectiveness, or you are just looking for a job, this book helps create the initiative needed. Being Better Than You Believe: 8 Steps to Ultimate Success is available at Amazon and Barnes & Noble. Greg Haitz earned his MA in American history at Xavier and is co-author with Lisa Haitz of Brown County, one of many installments in the Images of America series. 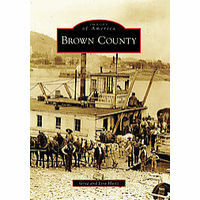 Brown County tells the history of the rural county in southern Ohio, beginning with small towns started along the Ohio River by people drifting down the river on rafts. Haitz takes his readers on a journey from the county’s early beginnings to the present. He reveals Brown County as a hub for the Underground Railroad and the home of many famous figures including Ulysses S. Grant, Col. Charles Young, the third African American to graduate from West Point, and Rosie Riles, better known as “Aunt Jemima.” Brown County is sold on Amazon and Barnes & Noble. 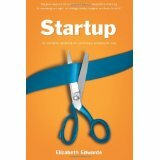 Elizabeth Edward teaches entrepreneurial finance at Xavier, and in Startup: The Complete Handbook for Launching a Company for Less she provides proven strategies for inspiring entrepreneurs to start their businesses with a budget. Startupcovers everything needed for a new business, from finances to advertising to business law. Edwards draws from her experience and outlines more than $100,000 in savings with do-it-yourself guides and finance strategies. The book discusses business, finance and marketing in ways that everyone can understand. It has been described as a must buy for beginning entrepreneurs. Startup is available at Amazon and Barnes & Noble. Bob Herring earned his bachelor’s degree at Xavier in 1973 and also a Master of Education. He has been the principal of Nativity School in Cincinnati since 1984 and is the recipient of numerous educational awards. Mary Ann Buchino is a graduate of the University of Cincinnati, where she earned her master’s in school psychology and a doctorate in special education. She’s taught at Nativity School for the past 23 years. In Connecting Across Cultures, Herring and Buchino provide educators with proven and practical ways to modify their curriculum to prepare students for the globalized world. Connecting Across Cultures changes what happens in the classroom so students can increase their understanding and challenge attitudes and assumptions they have about other cultures, nations and traditions. 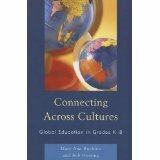 Connecting Across Cultures can be purchased at Amazon,Barnes & Noble and Walmart. Jim Ducibella, a 1974 graduate with a bachelor’s in communication arts, has worked as a sports writer for the Virginian-Pilot and was inducted into the Virginia Sports Hall of Fame in April 2010. He currently works as a web writer for the College of William & Mary and is a regular contributor to various magazines including The Virginian Golfer, Pro Football Weekly andSports Illustrated. 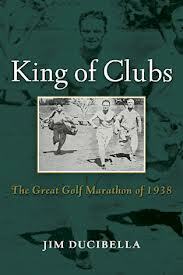 His book, King of Clubs, follows the true story of a challenge between J. Smith Ferebee and Fred Tuerk, two Chicago stockbrokers during the Depression. The challenge: Ferebee has to play 600 holes of golf in eight cities, from Los Angeles to New York, in four days. If he succeeds, then Tuerk will pay the $30,000 mortgage on Ferebee’s 296 acres of waterfront Virginia land. The challenge caught the attention of brokers and gamblers alike, and the bets accumulated to an estimated $100,000, or well over $1 million in today’s dollars. Ferebee faced many obstacles, including playing with a knee injury and a gambler’s sabotage attempt, during the golf challenge. Ducibella keeps readers enthralled from the opening drive to the final hole in this entertaining book. King of Clubs can be purchased at Amazon, Barnes & Noble and Potomac Books. Frank Rzeczkowski is a visiting professor of history and has recently released Uniting the Tribes: The Rise and Fall of Pan-Indian Communities on the Crow Reservation. Rzeczkowski argues that Native American tribalism on the Northern Plains allowed them to undermine the goals of the reservations, which were to prevent contact and communication between various tribes. 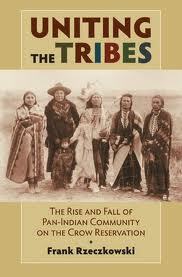 Tribalism brought Indians of diverse origins together and helped create a collective “Indian” identity. Rzeczkowski shifts from the traditional view, held in the cities and boarding schools, to the reservations themselves through letters, oral histories and official documents to examine Indian communities on the Northern Plains from 1800 to 1925. Focusing on the Crow, he reveals the intricate connections linking them to neighboring peoples and examines how their understanding of themselves and each other is reshaped by the steady advance of American colonialism. Uniting the Tribes can be purchased at Amazonand at Barnes & Noble. Jenn Stark is a 1991 Xavier graduate. 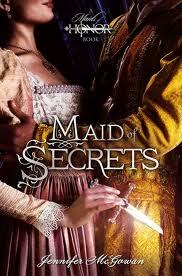 Her debut novel, Maid of Secrets, the first installment in a five-part series, will be released in spring 2013. The series is a historical fiction for young adults about five teenage girls in Queen Elizabeth I’s court whose job is to protect the queen. The first book introduces the thief, Meg, who is forced to join this band of spies. She must solve a murder and save the crown. Secrets and danger lie around every corner, but so too does unexpected love. Stark’s manuscript has been named as a finalist in the Young Adult Romance category of the 2011 Golden Heart awards from the Romance Writers of America. The RWA’s Golden Heart Award recognizes excellence in unpublished romance fiction manuscripts. For the latest details about the Maid of Honor series, visit www.jennifermcgowan.com. When Gail Holtmeier was earning her master’s degree in theology in the early 2000s, she began compiling a notebook stuffed with religious documents and historical information about how women have been and are currently treated in the Catholic Church. Those graduate notes became the springboard for Holtmeier’s saucy book, Women Are Defective Males: The Calculated Denigration of Women by the Catholic Church and Its Disastrous Consequences Today. Writing under the pseudonym Grace Walker, Holtmeier relentlessly tackles issues such as the lack of female leadership in the Church as well as sexual abuse topics—Holtmeier herself was recently a presenter at the Survivors Network of Those Abused by Priests in Washington, D.C. Starting with Mary Magdalene, she tracks what she calls a conspiracy and an “an organized protocol” to push down women. The title of the book is a riff off a quote attributed to St. Thomas Aquinas, and the tone of the text contains similarly challenging thoughts. 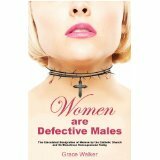 The book is available at Amazon.com or at www.womenaredefectivemales.com. Mary Brennan (’82 BA, ’83 MA) is a former history instructor at Xavier who now teaches at Texas State University. In Pat Nixon, she tackles the life of a first lady whom many admired, but few—it seems—really knew. 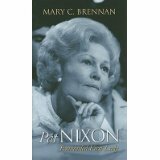 Touted as the first bio of Thelma Ryan Nixon to draw upon her private papers, Pat Nixon breaks the mold of “Plastic Pat” to profile her activism (she was the first presidential spouse to serve as an official government representative to foreign nations, as well as the first to visit a military combat zone). While stereotyped as a compliant housewife, Nixon actually worked outside the home for most of her life (as pharmacy manager, hospital X-ray technician and as an “extra” in the 1930s film industry), all this while raising two daughters. Nixon weathered Watergate and bridged two epochs: The era of the homemaker and the rise of the feminists. A quiet ERA supporter, Pat famously lobbied husband Richard to appoint a female Supreme Court justice, then gave him the silent treatment when he failed to do so. Check out the book’s catalog entry, www.kansaspress.ku.edu/brepat.html, as well as Amazon.com. Cynthia Beischel (’74 MED) has always been a loyal patron of the Virginia Bakery, a Cincinnati institution. So little wonder Beischel is now truffling with our affections (or is it confections? ), spooning up a cookbook laden with vintage press clippings and tastefully stocked with memorable recipes. The Virginia Bakery, a legendary culinary stop located mere blocks from the Xavier campus on nearby Ludlow Avenue in Clifton, first opened in 1927. Four generations of the Thie family have since presided over the outlet’s savory ovens, producing delectable apple ravioli and to-die-for butterscotch gems. Sadly, the landmark closed its doors in 2005, but this memorable memory book is chock-full of recipes you can recreate in your own kitchen. The book is available at Target or www.virginiabakeryremembered.com. Writer John Feister (’83 MA), a director of periodicals at St. Anthony Messenger Press in Cincinnati, has joined with Franciscan Sister Charlene Smith to paint a portrait of Thea Bowman, the inspirational African-American nun who grew up in racially charged Mississippi, converted to Catholicism at age 10 and later joined a convent of white Catholic sisters in Wisconsin. 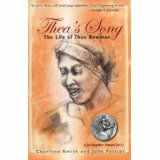 As an early heroine of the Civil Rights era, Bowman battled prejudice all her life—as an educator, speaker and gospel singer—before losing a struggle with cancer at age 52. The book is available at Amazon.com or www.orbisbooks.com. You’ll forgive Jacqueline Lyon if she sets her first thriller novel, The Marriage of Silence and Sin, at “a small Midwestern college.” After all, Lyon teaches literature survey and writing courses at Xavier, where she earned her master’s in education in 2002. Lyon’s protagonists, English prof Dicey Carmichael and attorney Gale Knightly, are two women investigating the alleged suicide of their troubled best friend, Elle. The two sleuths turn to Elle’s artwork to dredge up clues to the artist’s traumatic past and death at the hands of a diabolical killer. The book recently received a silver medal from the Independent Publisher Book Awards in the mystery/suspense/thriller category. Learn more at www.jacquelinelyon.com. The book is available at Joseph-Beth Booksellers, Amazon.com and select Kroger groceries. A professor of classics at the University of Virginia, John Miller (’72 HBA) took a decade to research and write Apollo, Augustus and the Poets. After traveling extensively through Greece and Italy, Miller has pieced together a “very important but insufficiently understood moment in the history of ancient Roman culture.” His text interweaves how Apollo, long a central deity in Greece, became a major god in Roman religion thanks to the efforts and patronage of the first emperor of Rome, Augustus. Using fresh evidence from archaeological digs as well as numismatic, epigraphical and artistic sources, Miller details how poets of the age, such as Horace, Ovid and Virgil, contributed to the creation of this imperial icon. Published by Cambridge University Press, it’s available at www.cambridge.org or Amazon.com. Author John Hagan, a 1972 MEd graduate and composition instructor at the University of Dayton, explores a range of topics in his new collection of stories, A Long Farewell. From coming-of-age issues to lost loves, Hagan’s voice and narrative is born of the Midwest. His fiction incorporates humor, romance and poignancy. Published by Goose River Press, it’s available at Barnes & Noble and at www.gooseriverpress.com. Chuck Sambuchino is a 2003 graduate who is now an editor at F&W Media in Cincinnati. 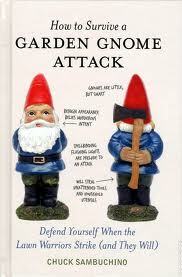 His initial venture into the publishing world (at least outside of what he does for his day job) is How to Survive a Garden Gnome Attack, a humor book on tiny, annoying, ceramic figurines that people place in their gardens. He bills it as “the only comprehensive survival guide that will help you prevent, prepare for, and ward off an imminent home invasion by the common garden gnome.” It’s published by Ten Speed Press, a division of Random House. Check out the book’s website, its catalog entry and an article on AOLnews.com. Michael J. Daley graduated from Xavier in 1991 with a degree in theology and now teaches religion at St. Xavier High School in Cincinnati as well as serving as an adjunct professor of theology at the University. 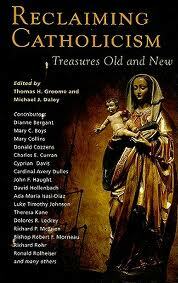 He teamed with Thomas Groome, a senior professor of theology at Boston College who also serves as the chair if its Institute of Religious Education and Pastoral Ministry, to edit Reclaiming Catholicism: Treasures Old and New, a compilation of essays from “a who’s who of theologians and spiritual writers” who assess whether reclaiming spiritual wisdom from the pre-Vatican II days can enrich the faith loves of Catholics today. Among those writing for the book is Bill Madges, former chair of Xavier’s Department of Theology. Madges and Daley previously worked together on the books Vatican II: Forty Personal Stories and The Many Marks of the Church. Daley’s a veteran of publishing, also writing In All Things: Everyday Prayers of Jesuit High School Students; Catholic Questions, Wise Answer; Catholic Symbols: Our Rich Spiritual Heritage; and Who Do Catholics…? Teens Respond to Questions About the Faith. Check out the review in the National Catholic Reporter. The book can be found on Amazon, Barnes & Noble, the Maryknoll Society and Christianbook.com. For 40 years, David Dougherty taught English at Loyola University Maryland before retiring this year as professor emeritus. During that time he no doubt introduced countless students to the critically acclaimed but popularly unpopular author Stanley Elkin. 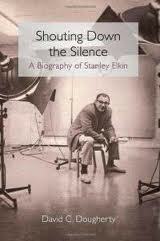 Now, he’s introducing the rest of us to Elkin through Shouting Down the Silence: A Biography of Stanley Elkin. 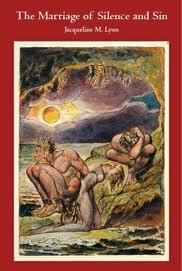 The book is the first complete biography of Elkin who died in 1995. “Although materially and professionally successful by middle-class measures, even by standards for university faculty, Elkin felt that he never received the recognition and awards his art deserved,” writes Dougherty. “From the 1970s forward, he often expressed regret about, and occasionally even resentment of, his lack of popularity with general readers.” Dougherty, who earned his master’s degree from Xavier in 1966, also edited two casebooks on Elkin’s novels. Shouting Down the Silence can be found at Amazon and through the University of Illinois Press. Rarely does one find sisters who are both authors. Even rarer are sisters who both produce books by the same publisher at the same time. But such is the case with Janice Hoetker Doherty and Deanna Hurtubise. The Edgecliff College graduates—Janice in biology in 1962 and Deanna in French in 1966—recently published books through Lilyflower Publishing. 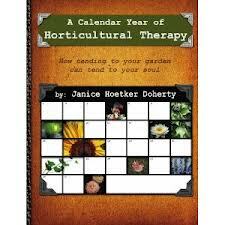 Janice retired as a microbiologist from Cincinnati’s Christ Hospital and headed straight for the garden, where she became an Ohio Master Gardener and found the health-related benefits so strong she started her own company, Growing Healthy Inc. She’s now put that knowledge to paper with A Calendar Year of Horticultural Therapy: How Tending Your Garden Can Tend to Your Soul, which offers more than 60 projects that can be used as hands-on therapy sessions. Deanna is a former high school psychology and French teacher who began writing stories, songs and poetry for her three children when they were young. Today she writes for her eight grandchildren, hoping to capture their innocent and uncomplicated views of the world through verse with So Many Hugs, a children’s book in rhyming verse that shows the power of a simple hug. Brief biographies of the sisters are on the Lilyflower Publishing website where copies of the books can be purchased. 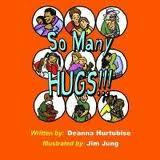 Janice’s book can be found at Amazon and Deanna’s book can also be found on Amazon. Five days after Hurricane Sandy slammed ashore along the New Jersey and New York coastlines, Fred Sansone got a phone call from the American Red Cross. Sansone, who is director of gift and estate planning, is a regular volunteer for the disaster agency. It’s his way of giving back to the community, the same way that he asks donors to give back to Xavier. Once again, the Red Cross was asking Sansone to do just that. Within 24 hours of the call, Sansone was on a plane heading toward the stricken area, landing in New Jersey on Sunday, Nov. 4. He remembers how eerie it was driving on the interstate. He headed to North Brunswick where the Red Cross had converted a three-story office building into a central staging area for all the support it needed to supply to the vast numbers of communities devastated by the storm. He joined more than 250 volunteers already busy in their offices and helped out for several hours coordinating the delivery of meal trucks for that night’s dinner. At 7:30 a.m. the next day, he was back, crammed inside a room at the headquarters, standing shoulder to shoulder with the other volunteers. Every day began with a briefing by a Red Cross representative standing on a stepladder speaking through a megaphone. Sansone was assigned to logistics. His job was to manage the vehicles used in the relief effort to deliver supplies and food. He had to make sure there were enough trucks to pick up supplies from warehouses and enough cars for the volunteers to get to their work sites in the different communities, and to make sure nothing was lost during transitions. He managed fleets of trucks, automobiles and emergency mass care feeding vehicles that were being dispatched to locations in need of food for displaced residents. He spent most of his time in the headquarters where he had access to phones and computers. But once he went into the field as he was tracking down trucks and tractor-trailers that were moving supplies. Logistics proved to be a good job for Sansone. He’d had a similar job when he volunteered the previous year after Hurricane Irene hit New England. He remembers how one job became a nightmare. A pallet of water that was five feet by eight feet was too big to be moved by themselves. So he called around looking for a forklift. No luck. All of them were already being used. Upon hearing “no” one last time, he asked the company where they bought their forklifts. Finally, he had some luck. He called that supplier, and a forklift was on its way. “I remember going to get lunch after that call, and while I was eating I saw a truck go by towing a forklift behind it,” he says. Over the course of nine days after Sandy, Sansone helped the Red Cross serve more than 1 million people affected by the storm. He said it was very sad to see the destruction it caused. Sansone had offered up three weeks of his vacation time to help with the relief effort, but he returned early, glad to have been able to help at all. Sansone humbly lives out the Jesuit mission of striving to be men and women for others through his work with the Red Cross, and he encourages others to do the same.